This will fit BMW Z3 models made from April to September 1998. It may also fit later models but I can't be sure. The BMW part number is 65756914842. 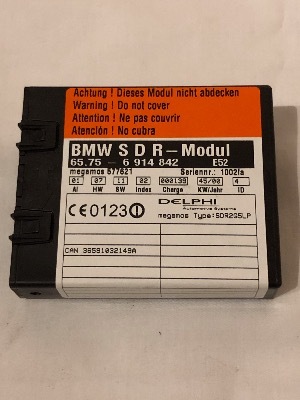 The current BMW part number is 65758385421. Please check this part number against the last 7 digits of your VIN number using the BMW electronic parts catalogue before buying. If you don't know how to do this, send us the last 7 digits of your VIN number and we will do it for you.